Guys, I need a new agent in the Wilmington NC area for insuring my boats. Boats range from 12 dinghy to 53 ft hatteras. Any help is appreciated. I've been going through Ryan Johnson with Charter Lakes. Never had to file a claim, but the price has always been right. 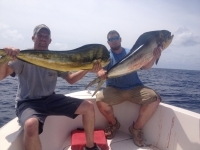 Ryan Johnson Charter Lakes Wilmington .